We agree that you should have a nice looking website, but also the underlying content, structure, speed, security, and optimization (search engine wise) are even more important. This client chose to not get an SSL (yet we recommend it). Also, this client used a managed WordPress by GoDaddy (they already were paying for hosting) vs. a faster hosting solution that we prefer. We advise and do our best to guide our clients into what we believe is best for their company, but ultimately our clients have options with our services. Our standard practice is that we recommend an SSL (secure socket layer) for each client’s website along with fast VPS hosting (Virtual Private Server). This client chose to not get an SSL and hosting via managed WordPress by GoDaddy. We advise and do our best to guide our clients into what we believe is best for their company, but ultimately our clients have options with our services. We are more than happy to work within their parameters and their budgets. The previous site was mobile friendly because that, too, was running using the content management system called WordPress. 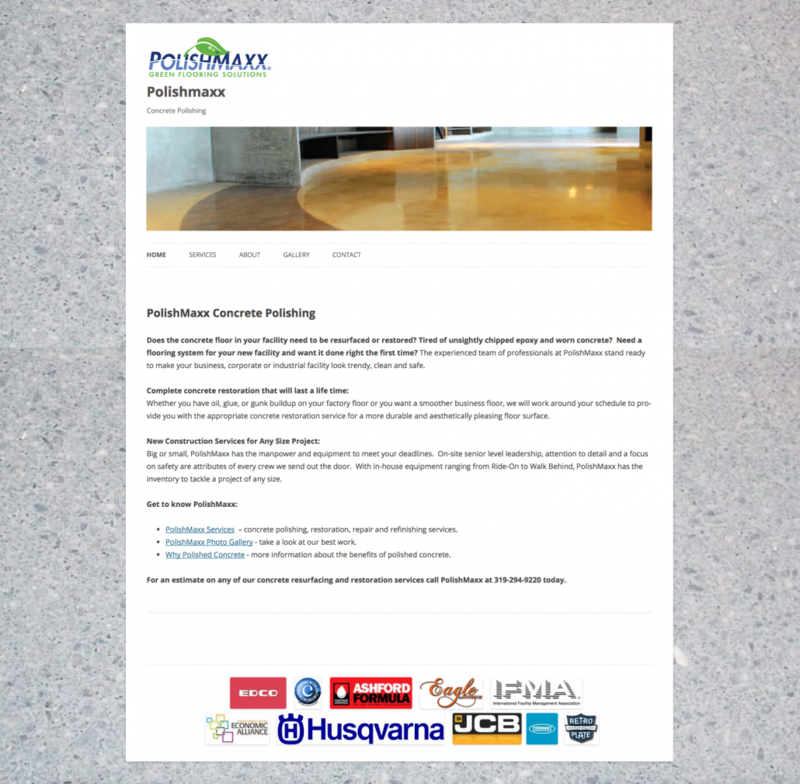 We added a contact form to the main page so it’s easy for potential clients to reach out to PolishMaxx. 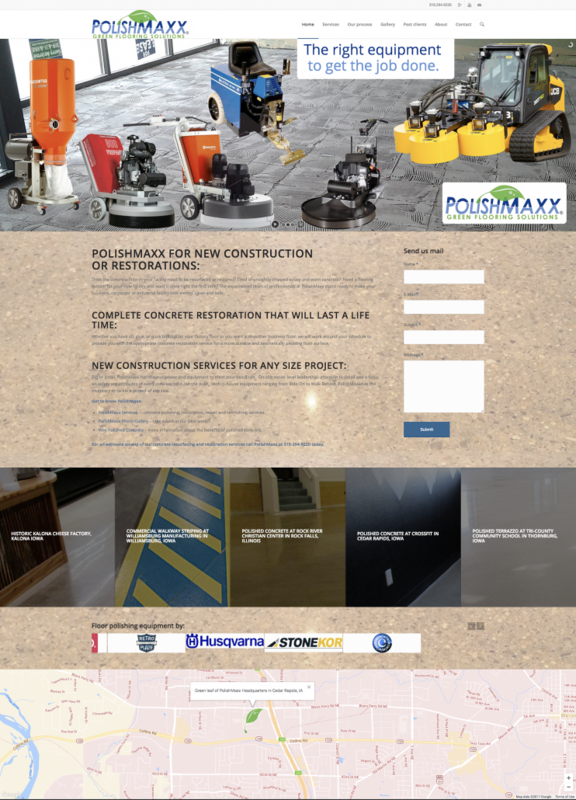 We also broke down the many services that PolishMaxx offers. Doing so, we went after long tail keywords and managed to increase the visibility online. The end result was a visible increase on SERP (search engine results page). This company went from never getting found on Google to being one of the top results in Iowa. The small investment in a new website was well worth the significant increase in their bottom line.